Creative Animal Logo Design: Every business needs a strong and simple animal logo design to promote their business and to bring in a positive response. Some businesses use lion as their central part of their animal logos to reign in their positivity and to show the confidence in their product. We all know that the lion is the king of the jungle, nut we should also never belittle others, since even a mouse logo design is as powerful as a lion logo. Best animal logo designs use typography designs, local favourite animals(australia is famous for it's kangaroo, so if you see a kangaroo design in a logo either it denotes the country or leaping to great heights). Sometimes the mannerisms of the animals are depicted as creative logo designs. Reading the meaning of logo designs is an interesting study, since you can come up with interesting stories behind them. 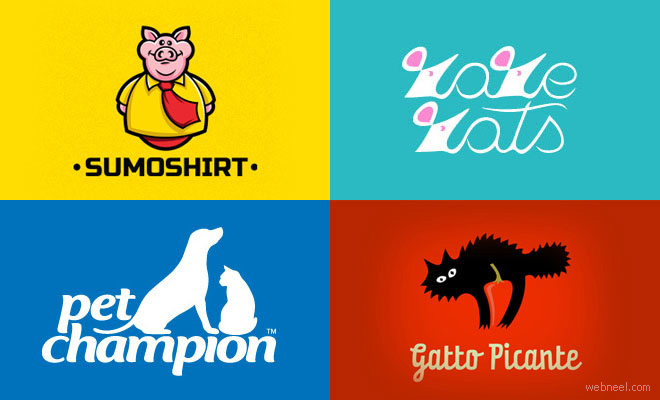 Have fun deciphering our collection of best animal logo designs.